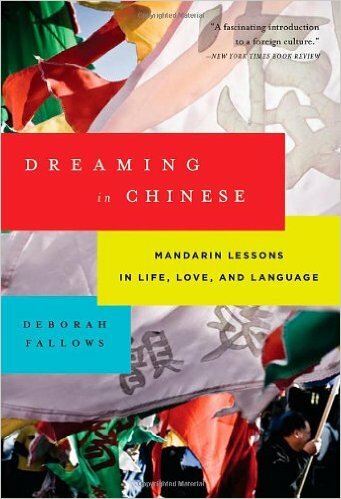 Dreaming in Chinese: Mandarin Lessons in Life, Love and Language was sent to me by the publisher through the GoodReads First Reads program. I looked into the book a bit before I got started, and learned that it was written by Deborah Fallows, who is a Harvard graduate with a PhD in linguistics – though you’d never know it from reading this. The book was written in a quasi-diary format, and each chapter focused on a different language concept. Tone, diction, dialects, etc. I am a person who’s generally very interested in languages and I certainly learned a few things from this book. The author discusses her experiences in moving to Shanghai and learning the language, and many of the things that came up were quite unusual and made me think. However, this book lacked the depth that I hoped a linguist could bring to it. Each tidbit was just that; a brief glossing over of a much larger issue. Learning a language is such a rich experience, and it’s about more than just communicating with people – it’s about understanding their culture as well. Mrs. Fallows does touch on this, but I really fell that with her background she could have provided more insight. As it’s written, this book could have been written by anyone who’s moved to a foreign country. I wouldn’t recommend this book to someone who wants a deep understanding of the way that language affects culture, or the way it’s formed by culture. I also wouldn’t recommend it for someone who just wants a light, breezy read – though it is that, it’s also a bit dry at points. Overall, I’ll give it 3/5 stars but I do believe it has a very specific, small audience. This entry was posted in book reviews, non-fiction and tagged book review, fallows, non-fiction. Bookmark the permalink.